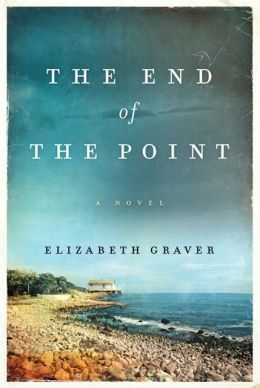 Winners announced: Elizabeth Graver’s THE END OF THE POINT! Congratulations, ladies! Thanks for playing. And to those who entered but did not win, stay tuned. There will be many more giveaways in the coming weeks and months! Thanks to the kind folks at Harper, I have three copies of the just-published trade paperback edition of THE END OF THE POINT to give away. Here’s what you need to do to become eligible. Be sure to include @Austraphile in your tweet so I’ll get a notification of it. 3) Subscribe to the Read Her Like an Open Book blog (if you haven’t previously done so) by clicking on the blue WordPress “Follow” button (right column, halfway down main page). You can also follow via email or Bloglovin’ (located in the same place). Three ways to ensure that you never miss a post on Read Her Like an Open Book! Once you’ve completed these four steps, you will be entered in the drawing. The three winners will be randomly selected from all eligible entries this weekend (May 17-18). I will notify you and request your mailing address, which I will provide to the Harper publicist, who will send you the book directly. If you have any questions, just reply to this post. Followed all the steps .,hope your staying cool riverside is hot as you know what.